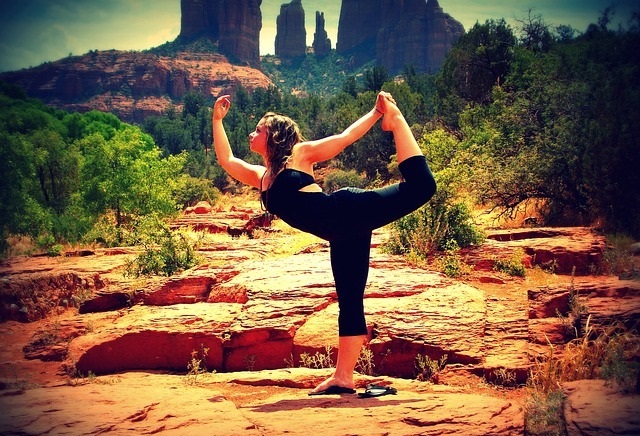 Do you really need an excuse to practice the stress-relieving, flexibility-improving, general greatness that is yoga? This centuries-old practice has taken on incredible life in the West and it seems if you aren’t doing yoga, you are the odd one out. Fortunately, it’s never too late to pick up a new and healthy habit. If you need a reason to practice yoga, here are seven. Yoga increases range of motion, mobility, and general flexibility. This doesn’t only make daily activities easier, it can also help reduce aches and pains associated with inactivity or a rigorous fitness training program. As the Yoga Health Foundation reports, yoga can actually increase elasticity in your muscles and connective tissues. We breathe all day, every day, for as long as we live (life kind of depends on it). Yoga brings awareness breathing and can help you recognize the power associated with breath control and consciousness. Many ancient meditation practices begin and end with breath control. Yoga, like many forms of exercise, can help reduce stress. It combines fitness, meditation and deep breathing to give you a multi-pronged approach to stress relief. Yoga is one of the best body weight exercises you can do. It helps build strong muscles without the expensive and potentially-dangerous equipment. As you stretch and work all of the muscles involved in the various yoga poses, you are helping encourage healthy blood circulation. Oxygenated blood rushes to all of your cells more efficiently when you are in good shape. Research has linked yoga practice with a reduction in pain for people suffering with arthritis, cancer, MS, auto-immune diseases and other chronic pain conditions. Yoga is meditation in motion. It focuses your attention on the here-and-now, helping to create a more balanced mind-body-spirit connection. Each yoga practitioner seems to have their own personal reasons for loving the practice. As you learn and grow through yoga, you’ll no doubt develop your own. If you already love yoga, tell us why in the comments!
? How to Lucid Dream, The Science of Lucid Dreaming and The Dreamworld The Awakening Of Consciousness ?